This Guru model is outfitted with a flipper blade and a titanium handle with a milled hole design. 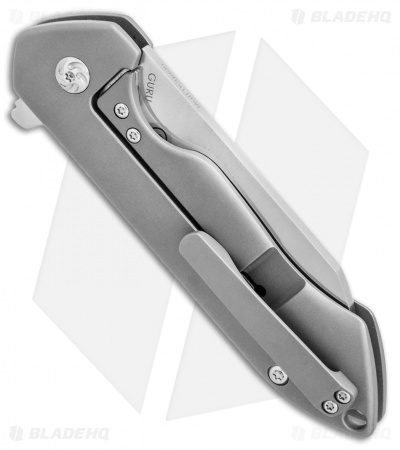 Matt Degnan and Kizer have done it again with the compact and functional Guru frame lock knife. Titanium handles and S35VN blade steel come standard with options for milled or plain handles and flipper or thumbstud openers. Based on Matt's Degnan custom the "MC", this knife design honors his knife Guru, designer Matt Cucchiara. 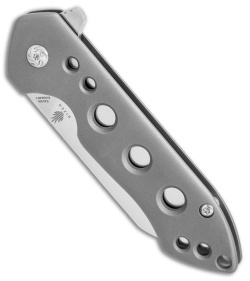 Ball-bearing pivot for rapid deployment with flipper opener. 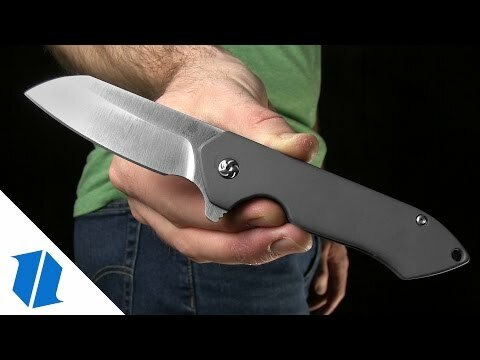 Compact and functional EDC design based on Matt Degnan's custom MC knife. S35VN Sheepsfoot blade offers a high performance edge for difficult cutting tasks. 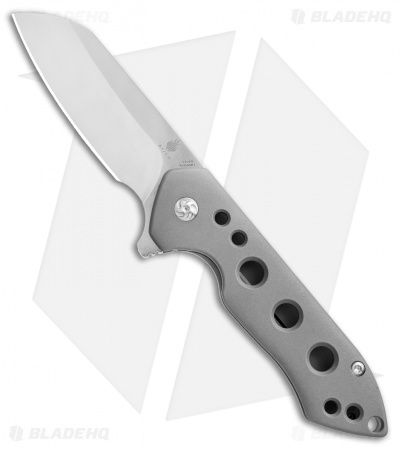 Titanium frame lock with a steel reinforced insert for solid and reliable blade lock up.